﻿ Were you at our Open Day last weekend ? Were you at our Open Day last weekend ? Last weekend, Shenzhen International Foundation College held the last Open Day and Entrance Exam of this semester. SIFC has always adhered to the concept of working in partnership with students and parents to achieve the best for every student. Before the Open Day started, the parents wrote down their questions about SIFC and international education, which were all answered in the Open Day lectures. We welcomed the violin duet performance by our teacher and student. The performance partner was Afra, who teaches English and psychology in the high school, and Nian, a student in grade 10 from her English class and psychology introduction class. Mr.Peter Rizzardini, the Supervisory Principal introduced the school's vision and mission. Professor Fu Tengxiao, the Principal, shared his thoughts on three topics. 1. The reason why our school has achieved excellent results in the past 15 years is that we love our children and awaken their potential; 2. The reasons why it is difficult for Chinese students to integrate into foreign society; 3. How the movement of our campus did not affect our school, because we have a high-quality school team. Dr. Mark Jacobsen, the Head of the Middle School and High School, gave a detailed introduction to the curriculum and the college application process. The road to college is difficult and demanding. We walk with them and support them every step of the way. The course experience was teacher Isaac's science lesson. If we haven't tried, we may never know there are more interesting and effective ways to learn. Ms.Hazel Halligan, the Head of the Primary School, introduced the International Primary Curriculum and shared the learning experience of our primary students at school. The kids attended our course experience. See how happy they were! The admission results of this entry exam will come out soon. If there are parents who want to visit school before the Spring Festival, please contact the Admissions Office. 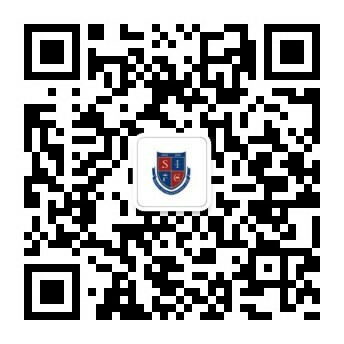 Winter holiday is coming, in the new semester, we are looking forward to seeing more new faces at SIFC after the break. Scan the QR Code to visit us !